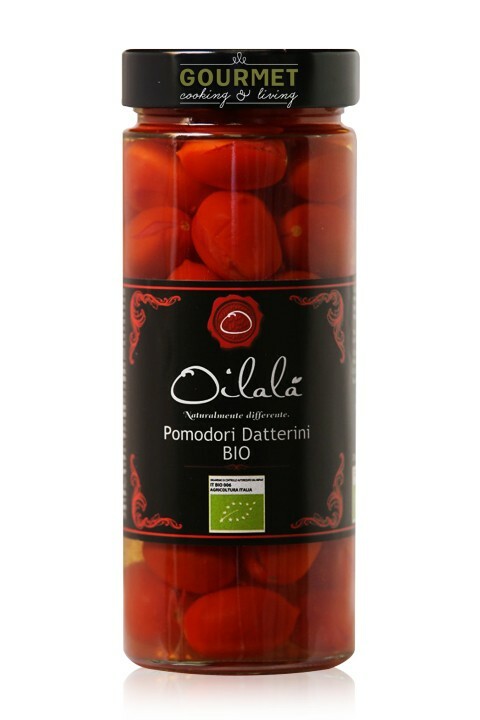 Organic Datterini tomatoes are preserved in brine to maintain their sweet flavor all year round. Waken up those taste buds in winter when fresh tomatoes are not in season. Ideal as a marinade for fish and meat dishes, in vinaigrettes for salads, drizzled on a pizza or simply as a tasty appetizer.